Giddeon Massie is one of the USA’s outstanding sprinters and has entertained track racing fans from Argentina to Zurich on some 50 velodromes around the world. He is a two time Olympian, holds 20 National Championship titles and has won gold medals at the Pan American Games and Pan Am Championships. During his Olympic run, Massie spent seasons training at the Colorado Springs Velodrome. Now 34, Massie brings his 21 years of experience and bag of sprint tricks to the CO Cyclones who would like nothing better than to best the CA Wave at the VELO Sports Center where Massie usually trains. 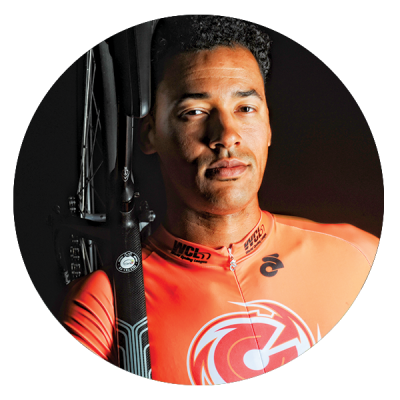 Outside of cycling, Giddeon is a program manager for a non-profit organization that utilizes Olympic and Paralympic athletes to mentor under-served students in North America and the Caribbean.